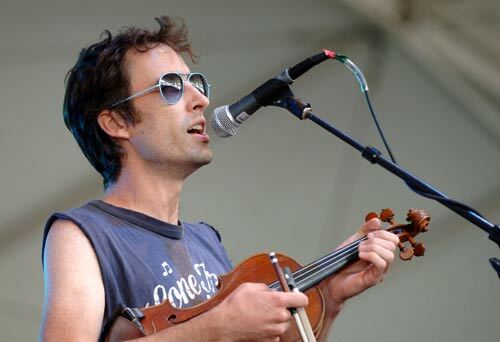 Andrew Bird’s Armchair Apocrypha was one of the better albums of 2007 that I didn’t get my ears on until 2008. Making my best of 2007 list somewhat less than complete. Oh, well. Can’t hear everything, I suppose. But today I try to make up for that shortcoming, just a little, by posting this September 27, 2007, show, in which Mr. Bird plays quite a few selections off of that album. Y’all know the drill: A few tastes, and a zip file. 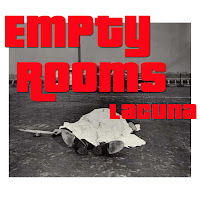 Those of you who were with me when I was on Blogger may recall that in 2006 I picked a little-known record by a band called Empty Rooms as one of the best offerings of that year. It’s taken them a while, but they’re back. And they’re still excellent. “Lacuna” finds Empty Rooms as spooky as ever, but the lead track, “All’s Well,” breaks new ground for them. Eschewing the echoey indie guitar for monk-like chanting, the band ventures even deeper into Radiohead territory than they’ve ever gone before. And the results are transcendent. The other three songs on the EP reflect the band’s movement into even deeper contemplative and meditative music. There’s still the occasional crunchy riff, but the focus is on percussion and mood, chants and swells. Texas-based Aster’s 2007 release, “Some Things Seldom Heard Of,” is actually, apparently, a 2008 release. Go figure. But whatever year you put it down in, it’s worth your eartime. I’m not going to call it shoegazer, because it’s much more than simply soaring. Yeah, it’s lush, with light and airy vocals, trippy beats, and piano swells–the works–but the music has a richness and texture I don’t usually get from shoegazer. I’m really enjoying this CD, but I’m finding it really hard to write about. Howzabout you all check out these two tracks, or go stream it, and write your own reviews, in the comments. Warren Zevon is probably my favorite songwriter. I dig his classic hits, which always inject bitter humor, like “Lawyers, Guns, and Money” and “Werewolves,” but I also like his lesser known ironies, like “Something Bad Happened to a Clown” and “Rottweiler Blues.” I also appreciate his tender moments, like “The French Inhaler” and “Tenderness on the Block,” as well as his barnstorming blues cuts, like “Poor Poor Pitiful Me” and “Piano Fighter.” All of it is good. But I rarely post on the man. So, today, it’s Zevon rarities day! His birthday was January 24, so I missed it by about a week, but whatever. These are all live bootleg tracks, of various levels of quality, that I hope you’ll enjoy. All tracks below are by the WZ, unless otherwise noted. A is for All Along the Watchtower (Bob Dylan). A bit long and rambling, but I really like what he does with it. It’s much more like a Bob Dylan cover than a cover of the Jimi Hendrix version, which is what most folks do. D is for Don’t Let Us Get Sick. An example of sensitive Warren, a beautiful song, and one of the first times it was ever performed. F is for First We Take Manhattan. G is for guns and gats. Roland the Headless Thompson Gunner. This isn’t a rare song, but I do love it. K is for knives, son! Mack the Knife. Yeah, Warren likes show tunes, too. L is for Lakes Of Pontchartrain. A true rarity, this is the only live performance of this song (that I’m aware of). M is for masturbation. Dancing With Myself (Billy Idol cover). T is for The Boss! Atlantic City (Bruce Springsteen). Not great quality, but it’s worth a listen. XYZ is for W again. What’s New Pussycat? Download these and play ’em all night long. In the zip file below, you’ll find 18 unreleased freestyles of various quality and length from some of the most popular indie rappers around: Slug (of Atmosphere), Aesop Rock, Eyedea (of Eyedeas and Abilities), and Blueprint (of Soul Position). Joining them are Illogic and Sage. I know most f you readers aren’t hip hop fans, but I also know that some of you are. If you appreciate these posts, please drop me a comment so I know to keep ’em coming. Indie rock can’t be all we listen to, can it? “Let’s build a wall between/All of the kerosene/So we can juggle road flares/In the yard.” The lines come in the verse that bursts out of a more subdued lament (“Maybe this time I’ll get lucky and you’ll mean all the things you say to me”) on “Road Flares,” off of Reed KD’s “Ashes Bloom” album, a really solid singer-songwriter collection of folk-rock love songs. Reed can be likened to Simon & Garfunkel, or maybe acoustic Death Cab for Cutie (in musical style only—his vocalization is entirely different). All these comparisons are somewhat apt, but above all he’s got his own voice. He eschews witty lyrics for insightful ones, and avoids long musical flourishes, preferring instead to pack many deep thoughts into each song, forcing the listener to constantly ask, “What did he say?” and back up a few seconds to catch it again. This is true poetry, set to guitar, and a sweet gem. Perfect music for a cup of coffee and the Sunday paper.